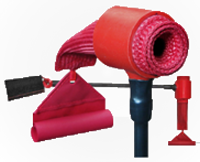 KPC3 Series Pitot Probe Covers are made to fit all commercial, military and business aircraft. The design boasts a tough-as-nails, Red Kevlar® construction. KPC4 Series Pitot Probe Covers are made to fit all commercial, military and business aircraft. The design boasts a tough-as-nails, Red Kevlar® construction. The KPC4T Series Pitot Probe Covers are specially designed with a Probe Tip Protector Insert to guard the probe tip from damage. Sized to fit probe specific dimensions. KPC5 Series Pitot Probe Covers are made to fit all commercial, military and business aircraft. The design boasts a tough-as-nails, Red Kevlar® construction. KPC6 Series Pitot Probe Covers are made to fit all commercial, military and business aircraft. The design boasts a tough-as-nails, Red Kevlar® construction. 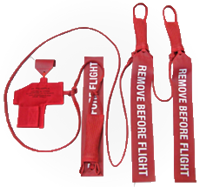 The KPLK-ATR-42 Pitot Lanyard positively attaches the TAT (Total Air Temperature Cover) and Pitot covers to assure the removal of all pitot covers prior to flight operations. The KPLK-ATR-72 Pitot Lanyard positively attaches the Pitot covers to assure the removal of all pitot covers prior to flight operations. 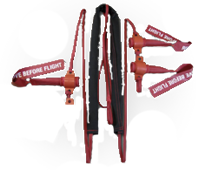 The KPLK-BE90 Kevlar® Pitot Lanyard Kit is designed for King Air BE 90 Aircraft. The Lanyard positively attaches the KPC6 covers for all forward Pitot tubes to the forward gear nose pin to assure removal of pitot covers prior to flight operations. 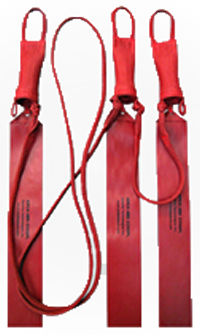 The KPLK-C25A, C25B, C25C & C680 Kevlar® Pitot Lanyard Kits are designed for Cessana Aircraft. The Lanyard positively attaches the KPC6 covers for all forward Pitot tubes to the forward gear nose pin to assure removal of pitot covers prior to flight operations. 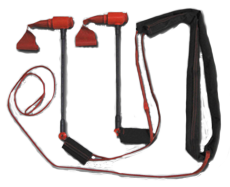 The KPLK-DF-900EX Kevlar® Pitot Lanyard Kit is designed for Dassault Falcon 900EX. The Lanyard positively attaches the KPC6 covers for all forward Pitot tubes to the forward gear nose pin to assure removal of pitot covers prior to flight operations. The KPLK-C130H Kevlar® Pitot Lanyard Kit positively attaches the KPC5 Pitot Covers for all forward Pitot tubes tothe forward gear nose pin to assure removal of the pitot covers prior to flight operations. 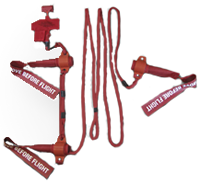 The KPLK-HC144 Kevlar® Pitot Lanyard Kit positively attaches the KPC6 Pitot Covers and FTC-102 TAT Cover for all forward Pitot tubes and Total Air Temperature Sensor tothe forward gear nose pin to assure removal of the pitot covers prior to flight operations.